1. San Francisco Scavenger Hunt | Saturday, September 14th | 2:00 p.m. | San Francisco Public Library and surrounding area | Here’s your chance to explore San Francisco in a fun and interactive way! This event gives you the opportunity to explore the city while adding a competitive aspect. Bring your problem solving skills and let the games begin! 2. America’s Cup Superyacht Regatta: Final Race Day | Friday, September 13th | 12:30 p.m. | Marina Blvd. 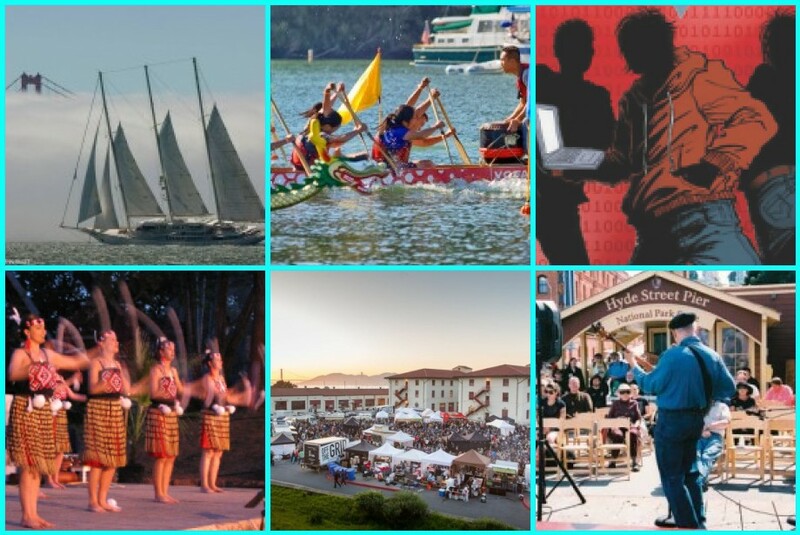 & Fillmore St. | Spend a day in the lovely fresh air down by the Marina and watch the finals races of America’s Cup! Some of the largest boats will be displayed and raced this day, so don’t miss out! 3. “Off The Grid” Friday Night Food Truck Party | Friday, September 13th | 5:00 p.m. – 10:00 p.m. | Fort Mason Center | If you not only love food, but love GREAT food, this is the place to go. There’s over 32 food trucks that offer options for the whole family to eat at, so everyone’s happy! It’s a great atmosphere and you are guaranteed to leave happy and full! 4. Sea Music Festival | Saturday, September 14th | 9:30 a.m. – 5:00 p.m. | Hyde Street Pier | What’s better than a day by the ocean filled with good music? Not much. This festival offers tons of live performances of traditional songs of the sea as well as a larger performance that evening for a mere $5. 5. International Dragon Boat Festival | Saturday, September 14th | 8:00 a.m. – 5:00 p.m. | California Ave. & D Ave. | So many boat events this weekend! This one is worth checking out because of the exciting and fast paced boat races involving beautifully decorated boats. There will also be crafts, martial arts and live music among other things! What are your plans for the weekend? Let us know which of these you’ll be attending in a comment or a tweet. Thanks to FunCheap SF for the cool ideas and stayed tuned each week for ABCey’s favorite picks for the weekend!